WHAT A GEM in Riverwoods! 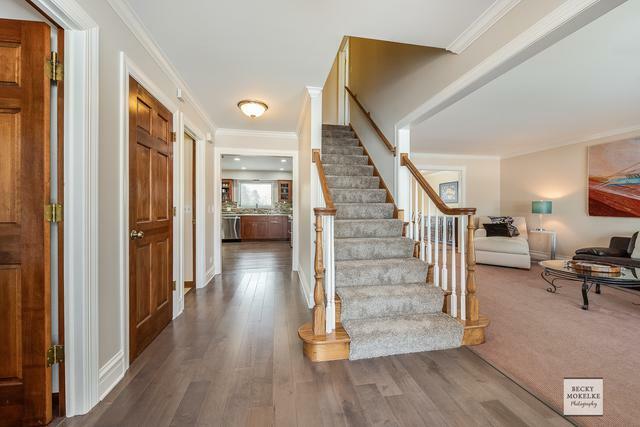 Hardwood floors, fresh paint, white trim and so many updates! 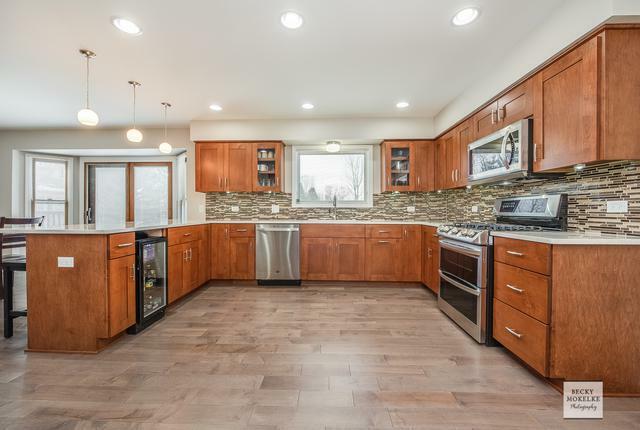 Kitchen remodeled in 2016 - Brakur cabinets w/slow-close, Quartz, SS LG appliances, undercabinet lighting. Laundry Rm remodeled too! SGD to new Trex deck, patio, and big yard w/shed. 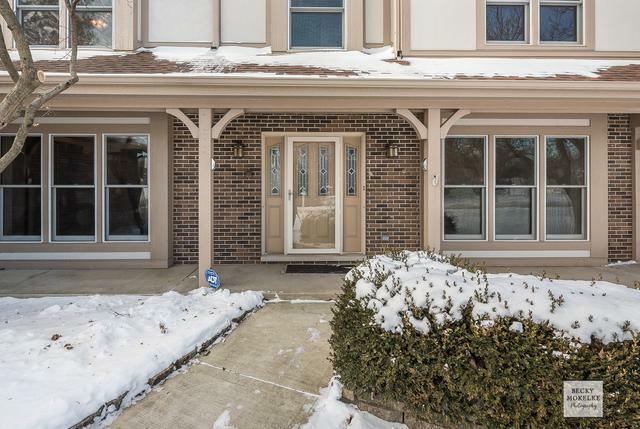 Kitchen opens to vaulted Family Rm w/brick fireplace, bay windows and separate Library with w/built-ins. Entertainment sized Living Rm, Dining Rm with inset hardwood floors, tray ceiling, crown and chair rail. Main floor Office/Bdrm#5 with WIC and Full Bath attached. Luxury master suite has vaulted ceiling, WIC, luxury bath w/whirlpool tub, separate shower and water closet. Three more bdrms upstairs: two are vaulted, two w/window seats, and one easily holds King bed. Updated Hall bath vaulted w/skylight. 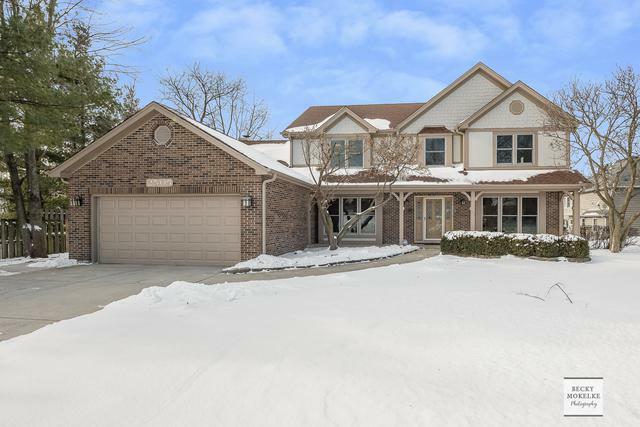 Finished Basement w/media room, kitchen, unfin 14X30 Rec Room, 16X30 storage-shop. Open space across the street and DuPage River Park just south. This home has it ALL! Top-rated District 203 schools.